Pieter Jan Kuijper is Professor of the Law of International (Economic) Organizations at the Faculty of Law of the University of Amsterdam, the Netherlands. Fabian Amtenbrink is Professor of European Union Law at the Erasmus School of Law, Erasmus University, Rotterdam, the Netherlands. Deirdre Curtin is Professor of European Union Law at the European University Institute, Italy, and Professor at the Faculty of Law at the University of Amsterdam, the Netherlands. Bruno De Witte is Professor of European Law at Maastricht University, the Netherlands. Alison McDonnell is Managing Editor of Common Market Law Review and member of the Europa Institute at the Leiden Law School, University of Leiden, the Netherlands. 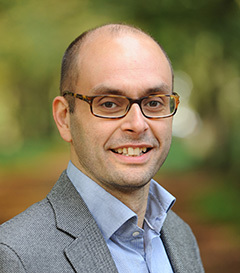 Stefaan Van den Bogaert is Professor of European Law and Director of the Europa Institute at Leiden Law School, Leiden Law School, the Netherlands. 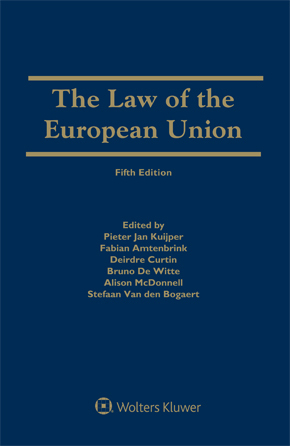 The Law of the European Union is a complete reference work on all aspects of the law of the European Union, including the institutional framework, the Internal Market, Economic and Monetary Union and external policy and action. Completely revised and updated, with many newly written chapters, this fifth edition of the most thorough resource in its field provides the most comprehensive and systematic account available of the law of the European Union (EU). Written by a new team of experts in their respective areas of European law, its coverage incorporates and embraces many current, controversial, and emerging issues and provides detailed attention to historical development and legislative history of EU law. law and policy of the EU’s external relations. The fifth edition embraces many new, ongoing, and emerging European legal issues. As in the previous editions, the presentation is notable for its attention to how the law relates to economic and political realities and how the various policy areas interact with each other and with the institutional framework. The many practitioners and scholars who have relied on the predecessors of this definitive work for years will welcome this extensively revised and updated edition. Those coming to the field for the first time will instantly recognize that they are in the presence of a masterwork that can always be turned to with profit and that helps in understanding the rationale underlying any EU law provision or principle. EUROPEAN ENERGY LAW – FROM MARKET TO UNION?